Jon Foster isn’t a scientist – he’s a businessman. So when he describes the biology that drives the growth of his industrial biotechnology company, he avoids terms that most of us haven’t used since we were in a high school lab. LS9 uses cutting-edge biotechnology to engineer “designer” microbes that can produce advanced biofuel products and biochemicals. Foster explains that these little critters are engineered microbes that will change the way large volumes of fuels and chemicals are produced. 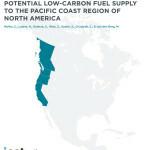 And as demand grows for low-carbon fuels and petroleum-free chemicals, these microbes could not only help meet this demand, but they could also generate significant revenues for the companies that develop them, including LS9. The result of billions of years of evolution, microbes are integral to life on Earth. They are tiny biological engineers that carry out tasks like building cells and storing energy. Microbes are found anywhere there’s water – from the bubbling hot springs of Yellowstone National Park to the moist soil and daffodils in our own backyards. 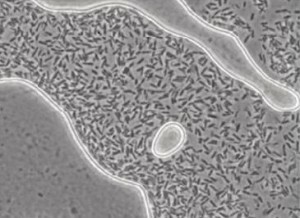 Invisible to the naked eye, microbes developed by LS9 look like dancing grains of black rice when placed under a microscope. Since its founding six years ago, LS9 has pioneered proprietary strains of “designer” microbes that can help produce fuels and chemicals that are efficient, sustainable, and potentially very profitable. 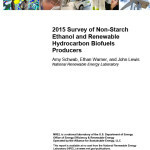 For example, LS9 is currently working to help biofuel businesses in places like Iowa and South Dakota increase their production capacity. 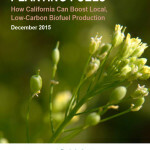 By eating their way through biomass that used to be discarded as waste, and then secreting the material as diesel fuel, LS9’s microbes help these biofuel companies squeeze more revenue out of the same amount of feedstock, their single largest expense. But what makes LS9 such a potentially valuable business is its adaptability. Currently, the market with the most potential to generate profits for LS9 is not fuels – it’s chemicals. And partnering with LS9 are large companies like Procter & Gamble, the Cincinnati-based manufacturer of many of the name-brand consumer products – Tide, Pantene, and Dawn, for example – that we use every day in our own homes. 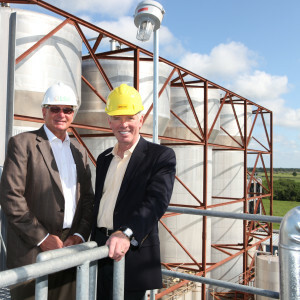 Gregory Rood, left, and Edward Dineen of LS9 at the company’s commercial demonstration facility in Florida. Many of these products require petroleum, and in its 2012 Sustainability Report, Procter & Gamble stated that it wants to replace 25 percent of its petroleum-based materials with sustainably sourced renewable materials by 2020. Using products produced from LS9 microbes, Procter & Gamble and others could lower their oil consumption and work toward achieving sustainability goals. As market conditions change, Foster said, LS9 can allocate resources to take maximum advantage of the ripest opportunities. 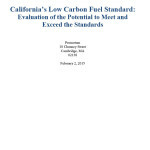 And Foster – who has a mechanical engineering degree from Yale, a law degree from Harvard, and previously worked in the White House Office of Science and Technology Policy – thinks that if California successfully implements its Low Carbon Fuel Standard program (LCFS), an expanding biofuel market could lead to an increase in revenue for LS9 and other companies in the sector. 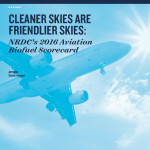 “The LCFS will create a growing market for renewable fuels, and that’s good for the American economy and for American energy independence,” Foster said. 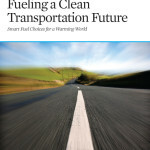 According to the U.S. Energy Information Administration, global liquid fuel consumption in 2012 was more than 89 million barrels per day and growing. This represents a massive, lucrative market worth hundreds of billions of dollars annually. 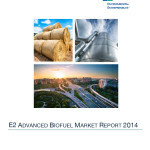 As new government standards and changing consumer tastes combine to create an increase in advanced biofuel demand, LS9 could choose to position itself as a supplier and licensor of fuel industry technologies, with occasional direct participation in fuel markets as opportunities arise. Stephen del Cardayre, LS9’s vice president of research and development, said this kind of adaptability is what makes LS9 such a unique company. LS9’s headquarters and R&D facilities are in California; it also runs a commercial demonstration plant in Florida. 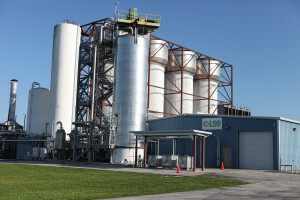 LS9’s commercial demonstration facility is located on land leased from a dairy company. On a much larger scale, the facility replicates processes that were developed in labs. The Florida facility is located on land leased from a dairy company. Its purpose is to demonstrate that technology LS9 has developed in its labs will work in the higher volumes required for commercial production. That, in turn, will allow LS9 or its partners to build commercial-scale facilities to produce renewable fuels and chemicals. Foster said that for LS9 at this point, scaling up has less to do with technological innovation and more to do with funding and the markets. To date, LS9 has demonstrated its technology with sugarcane, corn syrup, sweet sorghum syrup, molasses, and other raw materials. And in the future, as cellulosic sugars produced from organic waste materials become widely available, LS9 will be able to use them too. 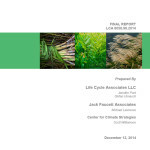 Regardless of which feedstock is used, LS9 is doing something game-changing – using state-of-the-art technology that harnesses the natural power of “little critters” to support a transition to the production of renewable and sustainable chemicals and fuels, and generate sustainable profits in the process.